Come out to Assemble to see a brand new show by local artist, Janelle Lile, entitled Modified. Inspired by family history, Janelle uses inherited objects to guide her creative direction. Her grandmother’s knitting needles and hand-written patterns along with her grandfather’s collection of 20th century Montana railroad books are incorporated into layered mixed-media drawings that explore memory and connection to the creativity of women. Modified will be showing through August 8th, 2012. The ladies of the Few and Far, an all woman graffiti collective, bring their work to Seattle. F&F is a movement that brings together talented women who are involved in graffiti and street art from all over the world. Their group connects women by creating social and artistic exchange, by showcasing art on the streets, on walls and in other high profile venues. And they foster and celebrate the power and expression of female street artists. Importantly, Few and Far consists of a team of open minded, highly creative, cutting edge and dedicated every day females. The show is curated by two local members, 179 and Ksera and the line-up includes: Lady Mags, TOOFLY, Meme, Erin Yoshi, DJ AGANA, Hops, Amanda Lynn, Reds, Siloette, Dime, Ursala Xanthe Young, Erin Ashford, Gloria Muriel and Rez. Artists Present. Oil paintings by Alexander Raskin. His rich dark oil paintings are inspired by animals, nature and fantasy characters. Artist Present. Landscape Exhibition. A show of vintage and contemporary landscapes: oils, photographs, drawings. 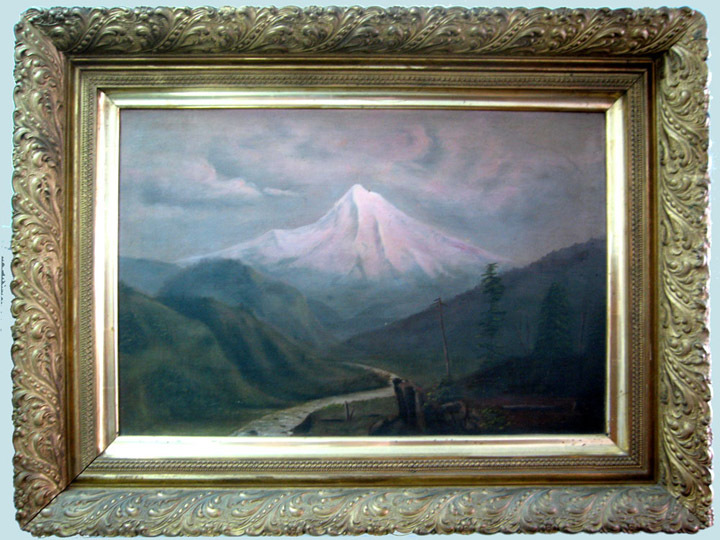 Pictured: unsigned oil painting of mountain, early 1900’s, in fine gilded frame. For July, we have the same artists as April, May & June, with the exception of no longer Bryan Schell and Julie Fisco, and the important addition of my daughter Ruby L. Smith. “Hidden Shadows of Cancer” B & W Photography. “Villians” as part of the “Superheros” exhibition. Featuring the art of Alexandria Sandlin, Christopher J. Olson, Maxx Follis, Mike Capp, Reed Carpenter, Xavier Lopez and more guest artists. Artists present. Landscape and architecture photography by Chris Baer. Monthly rotating artwork by resident artists Solace Wonder and Mat Savage. Artist present. Kristen Gill will be showcasing several fine art photography exhibits, including the Kaleidoscopic Project, Norway People & Landscapes, and her iPhoneography project. Kristen Gill is a travel photographer who enjoys shooting ‘from the hip’. She doesn’t spend a lot of time setting up equipment, but prefers to capture spontaneous moments and movements in time. Combining her love of travel with her passion for photography, she seeks to capture the essence of a place from behind the camera lens. Kristen’s photos tend to focus on lively street scenes, wide-angled landscapes, architecture, portraits, people and culture. Kristen shoots with both digital and film cameras, and also enjoys experimenting with Holga pinhole cameras and various camera phone apps. Born and raised in Chicago, Kristen has lived in Dublin, Ireland, and New York City, but now enjoys Seattle as a home base. Artist Present. “Dreamscapes” by artist Blanca Santander. Artist present. 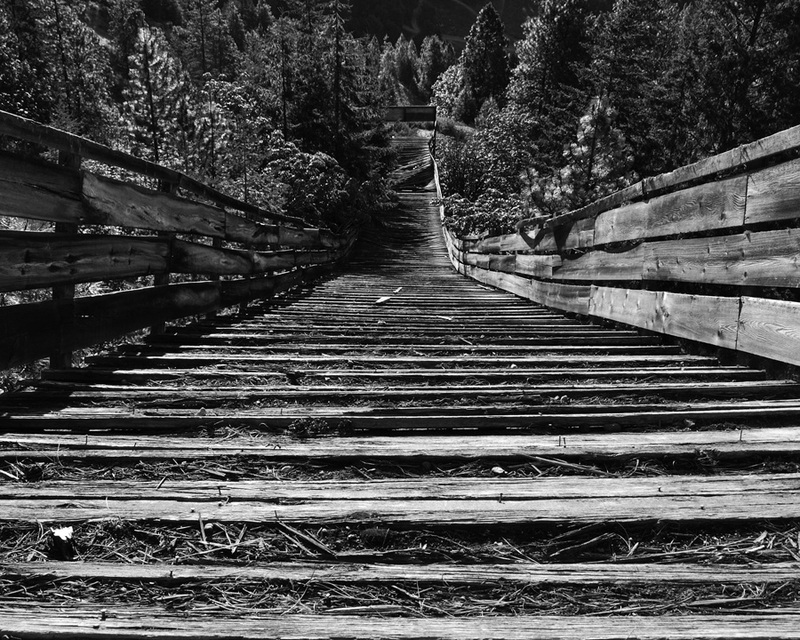 “Ski Jump” by Todd Smith. The Leavenworth Washington Ski Hill has an iconic structure gracing its slope. This structure, a ski jump, is historically very rich. The history has been written elsewhere. The structure itself is now a ghost, falling apart. It sits atop the hill reminding the valley of thrills sought decades ago. The purpose of these photos is to attempt to show the effort put forth and severity of a hand made structure produced for such simple and childlike pursuits: Jumping and flying. A pure thing built by thrill seekers. A reference for the thrills and extremes we all seek today with our own childlike curiosity. Artist present. Artwork by David Miller. A mix of large abstract paintings, collages and mixed media with a strong focus on bold color, strong lines and a creative composition. My collages and mixed media are introspective works of childhood fantasies meeting everyday reality. Artist present. 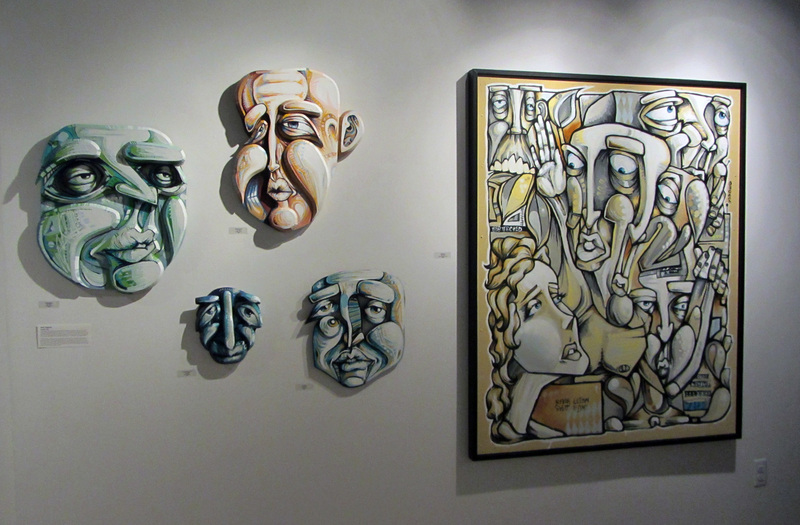 In The Showroom, Bherd represented artists Siolo Thompson, CASH, John Osgood and Dan Voelker feature their recent works. Artists present. 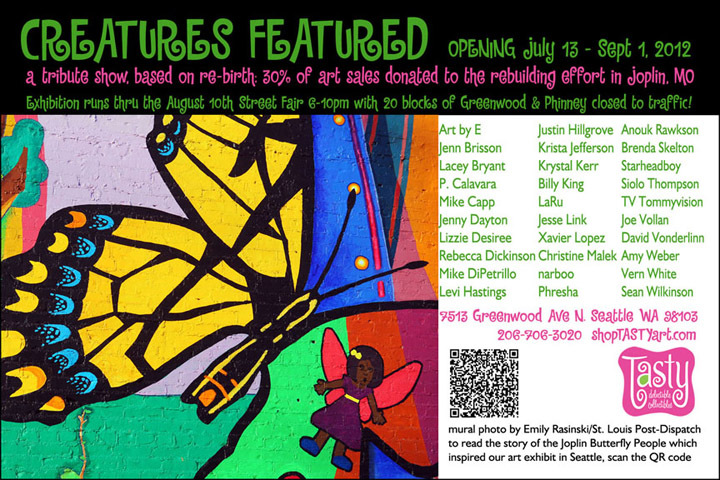 Tasty opens “Creatures Featured” Friday July 13th, a tribute show in support of the rebuilding efforts in Joplin, MO following its one-year anniversary of surviving a devastating EF-5 tornado. The Joplin twister was the country’s deadliest single tornado in six decades. A year later, supported by more than 130,000 volunteers, this American city is putting its lives and community back together. The “Day of Unity” events and activities that took place on May 22nd included a speech from President Barack Obama, a 4-mile “Walk-of-Unity” through hard hit areas and public interactive art that symbolized 161 hearts to represent those who died in the storm. Inspired by the dedication of a dear friend, (Dorothy Maples) who left her spouse in Seattle and is currently serving a year with AmeriCorps St. Louis, to help rebuild her hometown of Joplin, local artists and Tasty owners Sean & Sheri have produced a huge group exhibit centered around the theme of RE-BIRTH. “It was the stories of butterfly sightings that first peaked my interest”, said local artist, Eric Osborne, whose mixed media pieces carry the signature Art by E.
While Tasty is using its connections in the art community to generate a body of work for sale, owner Sheri Hauser says “it’s inspiring to read stories from around the country, of how other Joplin transplants are rallying in support of their hometown the way Dorothy has done for us.” For example, a contingent of bicyclists who left New York City’s Central Park weeks before the first anniversary on a Cycle for Joplin fundraising ride, which was organized by a group of former Joplin residents known as the Joplin Expats. 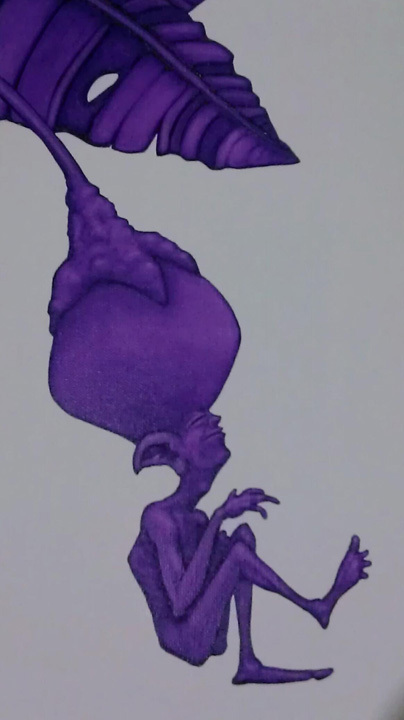 More than 30 local artists are making original art for Tasty’s group show, named “CREATURES FEATURED”, and all will be matching Tasty’s donation of art sales to support the rebuilding efforts in Joplin, Mo. On behalf of Dorothy Maples, the residents of Joplin, and other volunteers serving with AmeriCorps St. Louis and similar charity organizations, we invite you to join us for a celebration of RE-BIRTH, at Tasty in Seattle, WA at 7513 Greenwood ave n. during the opening night reception: Friday July 13, from 6-10pm in partnership with PhinneyWood’s monthly ArtUp & Chow Down night. Featuring the art of: Art by E, Jenn Brisson, Justin Hillgrove, Rawkson, Lacey Bryant, Krista Jefferson Starheadboy , P. Calavara, Krystal Kerr, Siolo Thompson, Mike Capp, LaRu, TV Tommyvision, Jenna Colby, Jesse Link, Joe Vollan, Jenny Dayton, Xavier Lopez, David VonDerLinn, Lizzie Desiree, Christine Malek, Amy Weber, Mike DiPetrillo, narboo, Vern White, Levi Hastings, Phresha and Sean Wilkinson. Artists present. Art by Gregg Tralle. It all started with a blank garage wall and how to make it more exciting. An idea of using bird houses seemed the best solution. Painting prebuilt houses soon lead to re-purposing found objects as house and trim and then choosing bright colors to enliven the drab Seattle winter’s grey. Soon the houses became too good to hang on the garage in the rains and making them interior and decorative opened all sorts of possibilities and options. Evolved quickly beyond bird houses these assemblages have taken a life of their own with only birds remaining and then sometimes even the birds are no longer a part of the final piece. And so the hunt for the flotsam of everyday life continues, Good Will Outlet and yard sales as well as donated bits and pieces from friends. Artist present. Featuring art by Dave Montgomery. Photographs by Bridgette Schaffarzick. Brigette Schaffarzick, photographer at Penguin Pictures, is Phinneywood’s premier portrait photographer. Brigette specializes in on-location newborn, young children and family portraiture. With a degree in Photojournalism from the University of Montana, she has photographed for newspapers in Montana and Alaska as well as contributed to multiple national publications. Recently, after starting her own family, she discovered how precious those early years are. She is known for her playful and vibrant style with a few quiet moments in between. Brigette is respected in the community. She is a business member of the Phinney Neighborhood Association and a proud member of the National Association of Professional Child Photographers (NAPCP). 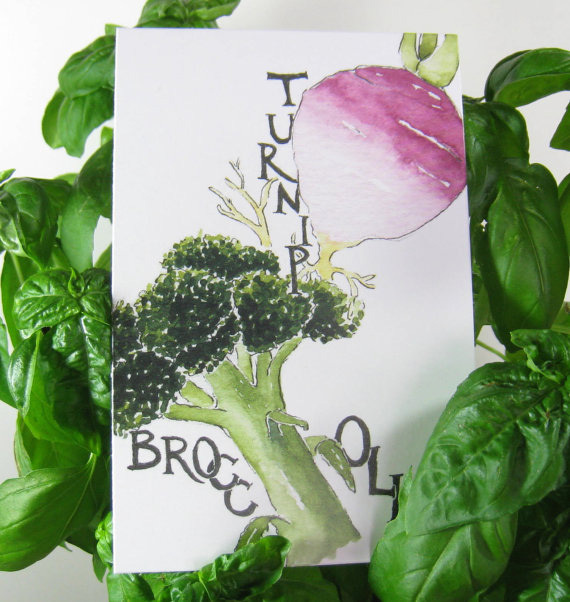 Plus watercolor vegetable portraits by Sydney Ruth Palmer. All the wild colors, shapes, and textures of vegetables nourish the soul as well as the body. As a color addict, she finds vegetables irresistible at every stage: from planting, to painting, to eating. When not swooning over veggies, she edits and writes. Artists present. “Between Heaven and Hellboy” group exhibition of underground, alternative and urban artists take on comics, superheroes and super villians. Artists Present.